We are conveniently located near the intersection of Routes 93 and 95/128 in Woburn. From Boston, take Route 93 North to Exit 36 and make a left onto Montvale Ave. Follow Montvale Ave. 1/4 mile and turn right onto Washington St. Follow Washington St. 1 mile to the second traffic light and turn left onto Cedar Street. Immediately on your right is the entrance to Chestnut Green. Our office is located in the building on the left, 2nd floor, next to the elevator, suite 54. From points South and West, take Route 95/128 North to Exit 36, Washington St., Woburn. Make a right off of the exit ramp and follow Washington St. for 1/2 mile, passing Dunkin Donuts and Staples. At the next traffic light bear right onto Cedar St. Immediately on your right is the entrance to Chestnut Green. Our office is located in the building on the left, 2nd floor, next to the elevator, suite 54. From points North and East, Take Route 95/128 South, Exit 36, Washington St., Woburn. At bottom of ramp, bear right. Go up the hill, then bear right onto Washington St. (If you go straight, you’ll end up in the Kohl’s parking lot.) Go over the highway, through 2 lights, then follow for approximately 1/2 mile further, passing a Dunkin Donuts and a Staples. At next light, bear right onto Cedar Street. 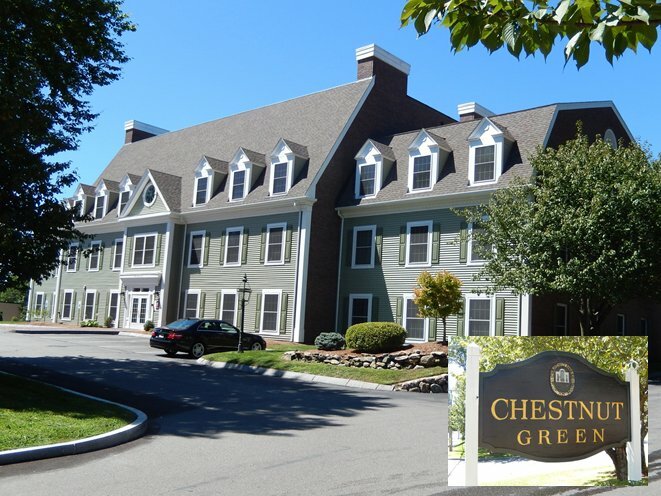 Go 100 yards, and on the right is the entrance into Chestnut Green, which consists of two green colonial buildings. Our office is located in the building on the left, 2nd floor, next to the elevator, Suite #54.